It’s obvious. Your wedding is the most memorable day of your life, and of course, you want everything to be perfect for your blushing bride or the groom. Women spend a lot of time thinking about what they are going to wear and have plenty of advisor's to help them. Grooms, on the other hand, find it difficult to decide the best for them. Moreover, in the case of grooms, their height plays important role shaping up their personality. Are you worried about being a short groom? Unlike gorgeous brides, grooms too wants to look best on their special day. 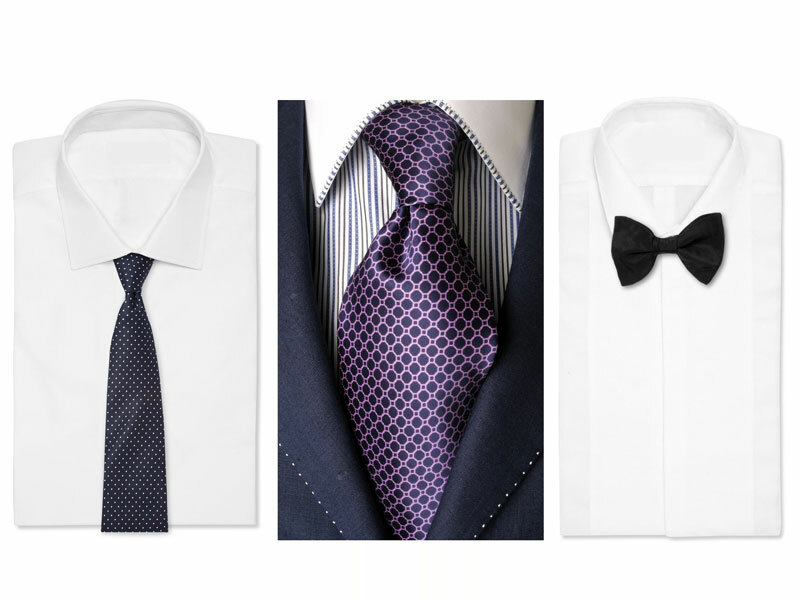 From top to toe, grooms also have their own checklists on what to wear on their wedding day. Nevertheless, if you are the one with shorter height than your soon-to-be wife is, you might feel low on confidence on your big day. Shorter men always had difficult times than taller ones, and even on their wedding day, there are no exceptions. 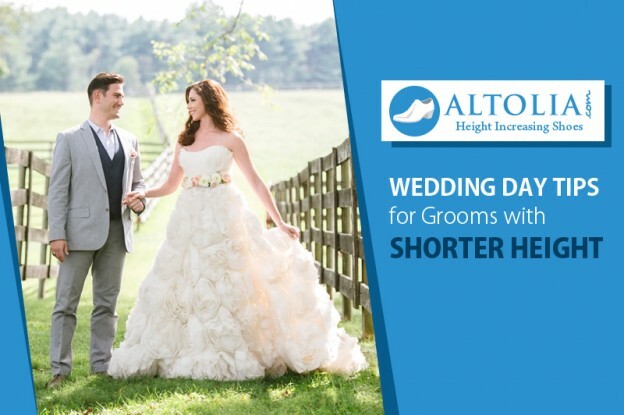 However, there may not be much you can do for permanently increasing the height, but there are ways that can make you appear taller on your wedding day. For shorter grooms, playing around with slim-fit clothes and perfect ties is an effective way to look taller. However, for those who actually want to add 3 to 5 inches of height, one need to be mindful with the selection of groom's shoes. Shorter grooms can wear high-heeled shoes, but this option is no more supported, as the visible heels are chunky and often grooms find difficult to walk with. 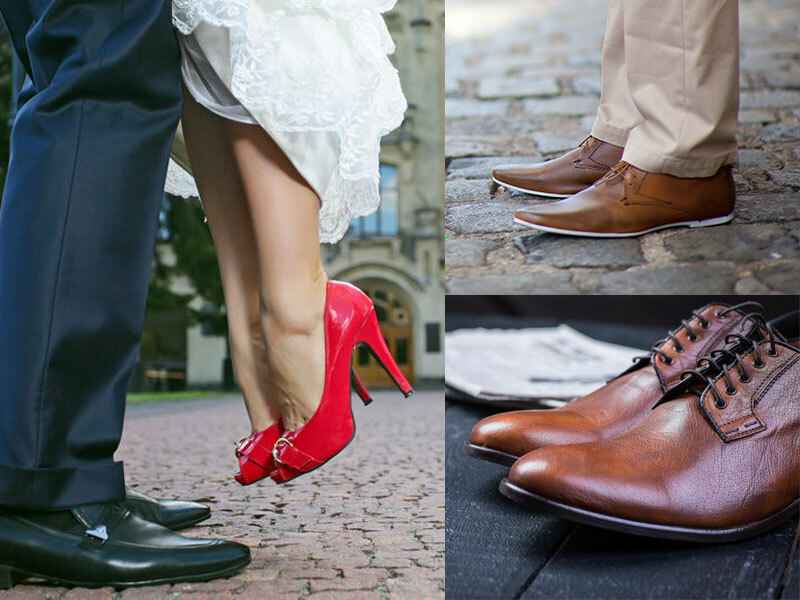 Therefore, we have another option of comfortable height-increasing shoes for grooms. 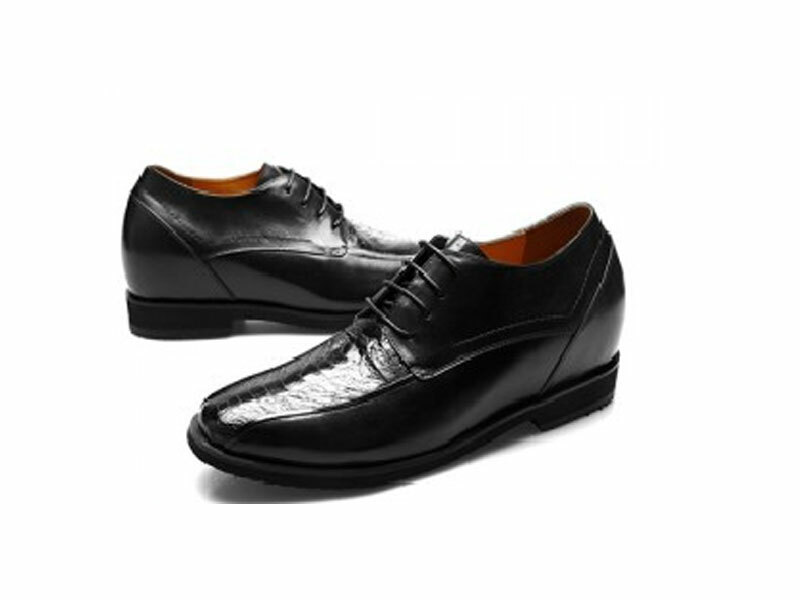 With Altolia Ostrich Leather Black Dress Elevator Shoes, a groom can increase height up to 3.5 inches, while providing comfortable support to walk with hidden heels. This will help you in getting aware of the strong and weak points of your body and give you an idea to pick what kind of look or style to go for. For grooms with shorter heights, don't make rash decisions on what to buy. You are advised to keep a close check on your every purchase and get opinions from the experts, magazines and the internet. Shorter men wear clothes with an extra loose with a though of adding an extra inches to height. 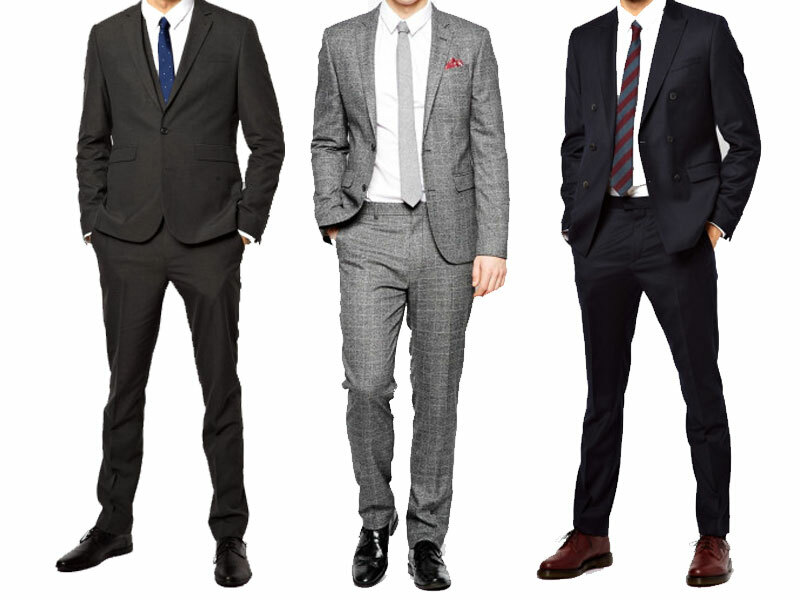 Shorter men with a thought of being short pick a suit that hangs loose in the armpits or slacks that instead make them look shorter. Therefore, shorter grooms should cut those extra loose fits and make a choice of well-fitted suit. In addition, the best way to ensure the perfect ensemble for your wedding day is to have a trusted tailor on hand, who will transform your look with a perfect tuxedo. Although having your suit jacket shortened or shoulders narrowed on your shirt seem like small adjustments, they are something that will take you from dopey to dashing on your big day. No matter what is in “style” this wedding season, a shorter groom should always choose a tie that goes well with the slim-fit wedding outfit. This is because of a reason that a slim fit tie with a sleek shape help the shorter grooms to maintain the perfect tall height appearance. 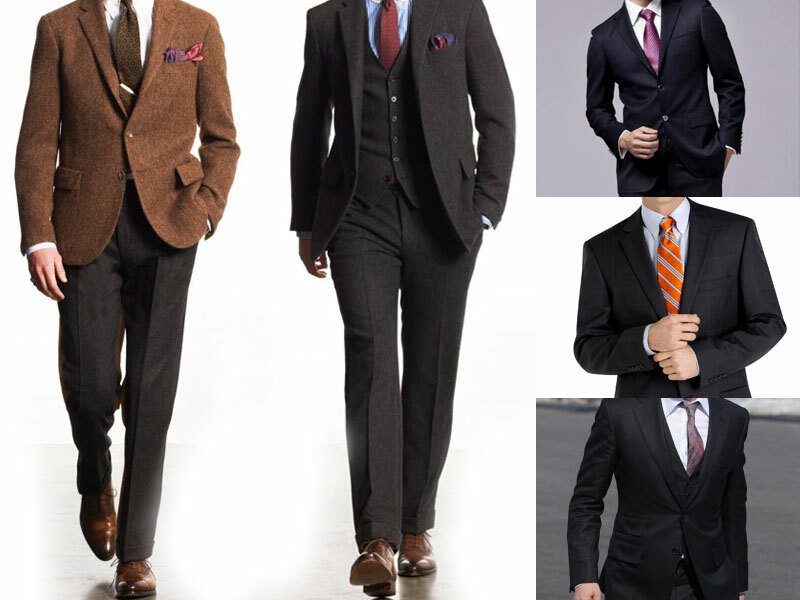 In addition, one should avoid going for broader ties, though they will make your torso look much shorter. Moreover, as a short groom, you should always avoid bow ties – it will cut you off at the neck. Choosing a single colored, slim tie make the best choice to make you look taller. Whatever your approach to the big day, remember to be confident in your choices. Standing confidently will make you look taller while standing next to your bride, family and friends. You have a beautiful bride and a room of people who are there to celebrate this next step in your life.